Think about your biggest goal. Why haven’t you accomplished it yet? If you’re like most people, the answer is simple: Fear. Fear is the limiting factor stopping you from working toward what you really want. Fear distracts us and leads to excuses – but it doesn’t have to. It’s easy to pretend fear isn’t influencing you and to make excuses as to why you haven’t achieved what you’re capable of. Instead of turning around and hiding from it, treat fear as a motivation, not an excuse. Look at your goal. If you let fear chase you away from achieving it, then you’ve effectively given in. Tony Robbins has helped millions of people stop living in fear and start creating lives they love. These five steps will teach you how to overcome fear and move you closer to the life you want. What does the life you desire and deserve look like? Is it just a “someday, maybe” plan or do you actively work toward it? Is it something that is attainable and you’re willing to commit to? The first step in conquering fear is identifying whether or not you’re creating a compelling goal. If you accomplish this, will you feel fulfilled? Conversely, if you don’t accomplish this, will you be lost? Dig deeper into your goal. What is your ideal outcome? Is it financial growth – more money in the bank? Maybe you want the freedom to travel anytime, anywhere? Consider what your life will look like if you don’t achieve this outcome and compare it to what your life will look like if you do. Once you feel that your goal is essential, the fear of not trying at all eclipses the fear of failure – that’s when you’ll be motivated to act. Fear makes you put things off. “I’m really tired. I have other stuff to do. It’s a dumb idea anyway.” These excuses probably sound familiar, don’t they? You’ve probably said this out loud and to yourself. Think about it. Is there any truth to these statements, or are you constructing excuses to avoid potential failure? It’s much easier and less painful to make excuses than it is to put in the long hours and energy it will take to work toward your goal, but excuses and opting out will ultimately leave you feeling unfulfilled. Recognize when you are using excuses and figure out how to overcome them. Too tired? Adjust your schedule so you can get a better night’s sleep. Not enough time? Assess your priorities and find out where you can make time. And the next time an excuse comes to you, make the decision to not give in to the little voice telling you “No,” because it won’t help you grow in the long run. When you’re afraid, you tend to stay in one place. What if you make a mistake? What if you fail? You start to believe you can’t progress at all, that you’re incapable of it – the fear holds us back. Change the message you tell yourself. It’s not about achieving something and being perfect every step of the way. No one is ever perfect all the time, so stop striving for that. It’s about getting comfortable with what you don’t know and continuing anyway – this is the foundation of a growth mindset. As Tony says, “No matter how many mistakes you make or how slow your progress, you’re still way ahead of everyone who isn’t trying.” As you work to overcome fear, you will realize that there will be lots of trials and tribulations along the way. As soon as you’ve accepted that the path to success includes growth and change, you’ll be one step closer to attaining your goals. No one likes pain. Most of us go to great lengths to avoid it. But pain is a profound teacher. If you accept that your life and your efforts to achieve your goals will be painful at times, painful experiences become opportunities for growth. Everyone experiences hardships in life. It doesn’t matter whether your setbacks are personal or professional – what matters are the lessons you take from those experiences and how you apply them to your future. Instead of letting pain and fear dictate your decisions, actively choose to learn from those painful moments to be in control of your own life. What’s the number one fear people have when it comes to accomplishing their goals? That they’ll fail. But like pain, failure can teach us. In fact, failure is often a better teacher than success. If you accept from the onset that failure is an inevitable part of success, you’ll be less afraid of it. Failure can provide you with valuable learning experiences that will positively impact your future strategies. Everyone fails. Successful business owners. World leaders. Prominent chefs. Artists and scientists and doctors. Our society shies away from talking about failure, and instead celebrates successes; this creates the false impression that to be truly successful you must never fail. But everyone on the planet – including those you know and admire – has encountered failure on their path to greatness. The quicker you realize your fear of failure is preventing you from making the decision to accomplish your dreams, the sooner you’ll be able to accept the possibility of failing and move on. How you respond to fear is what sets you apart from the rest of the crowd. 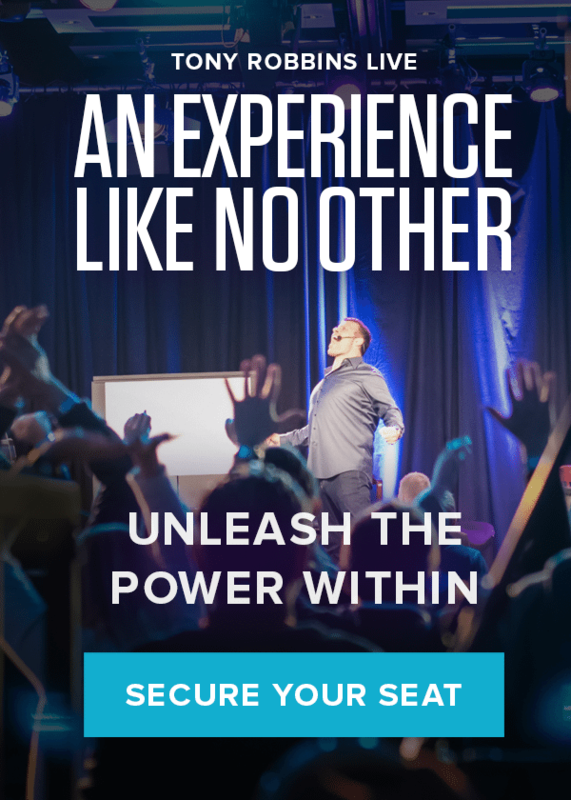 Break through your own barriers at Unleash the Power Within, where you’ll learn how to overcome fear and tap into your inner power. Discover how to take your life to the next level today.